Have your eye treatment carried out in the comfort of our state of the art refractive surgery unit in Glasgow. Mr Sanjay Mantry who is based at Glasgow Nuffield Hospital in the west end and BMI Ross Hall in the Southside of Glasgow. BMI Ross Hall is a newly opened, consultant led, hospital-based eye centre. The Glasgow refractive surgery centre has cutting edge femtosecond laser technology for cataract surgery, as well as laser eye surgery. There’s also a purpose built modern clinic with a diagnostic suite, laser refractive suite including Verion technology and a newly refurbished eye theatre. 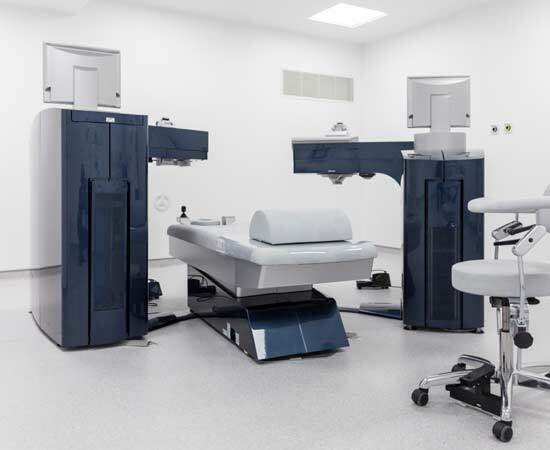 There is also a purpose built modern clinic with a diagnostic suite, laser refractive suite including Verion technology and a newly refurbished eye theatre. Whichever Glasgow eye surgery clinic you attend, you’ll receive bespoke service and support from our dedicated team. Lead surgeon, Sanjay Mantry is joined by experienced optometrists Stephanie Allan, Jill Morrison and Andrea Montgomery, as well as the friendly patient services team. 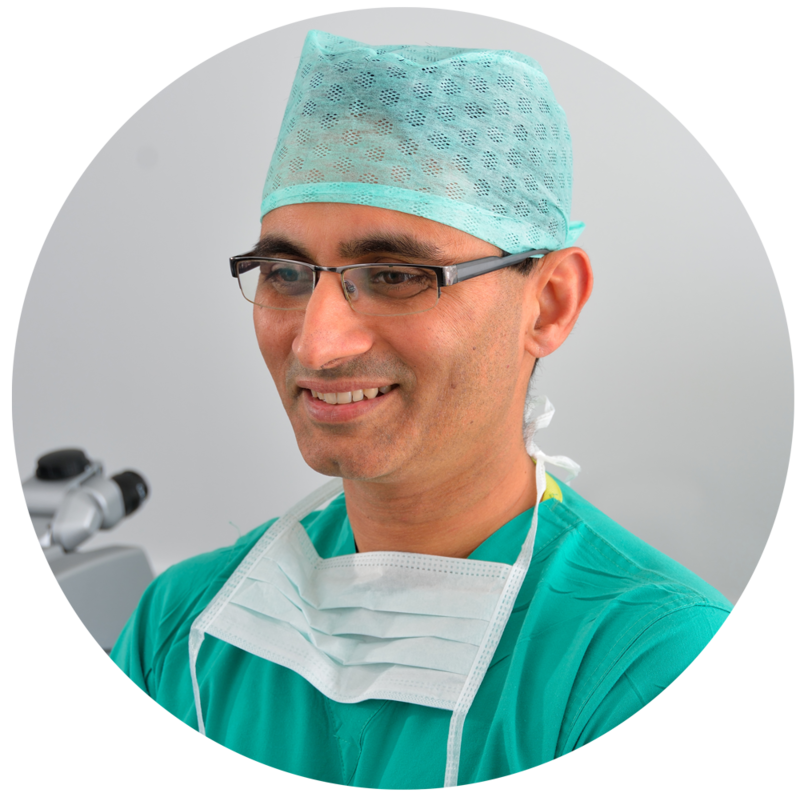 Find out more about Sanjay Mantry on our meet the surgeons page. From your initial consultation, to treatment and aftercare – you can be seen throughout the entire process at our Glasgow refractive surgery centres. There will always be a familiar, friendly face to greet you, because you’ll see the same consultant on every step of your journey. At your first appointment, you’ll spend at least half an hour with the surgeon, Sanjay Mantry, and you’ll meet the rest of the Laser Vision Scotland team. You’ll also undergo full diagnostic testing followed by an in-depth consultation with our in-house optometrist. Whatever type of treatment you’re having at our Glasgow-based clinic, our surgeons provide high-quality ophthalmic care that is safe and effective.They’re experts in their field, offering diagnostic tools and treatments only available in Scotland from Laser Vision Scotland. Precision laser eye surgery techniques and a wide range of specialised lens implants to correct focusing problems. Our laser eye surgeries offer both LASIK and LASEK treatments in a safe hospital-based environment. World-class ophthalmic treatment for cataract removal with the option of advanced lens for vision correction all in one procedure. Our Consultant Ophthalmologist Sanjay Mantry runs Scotland’s only rapid access keratoconus service. 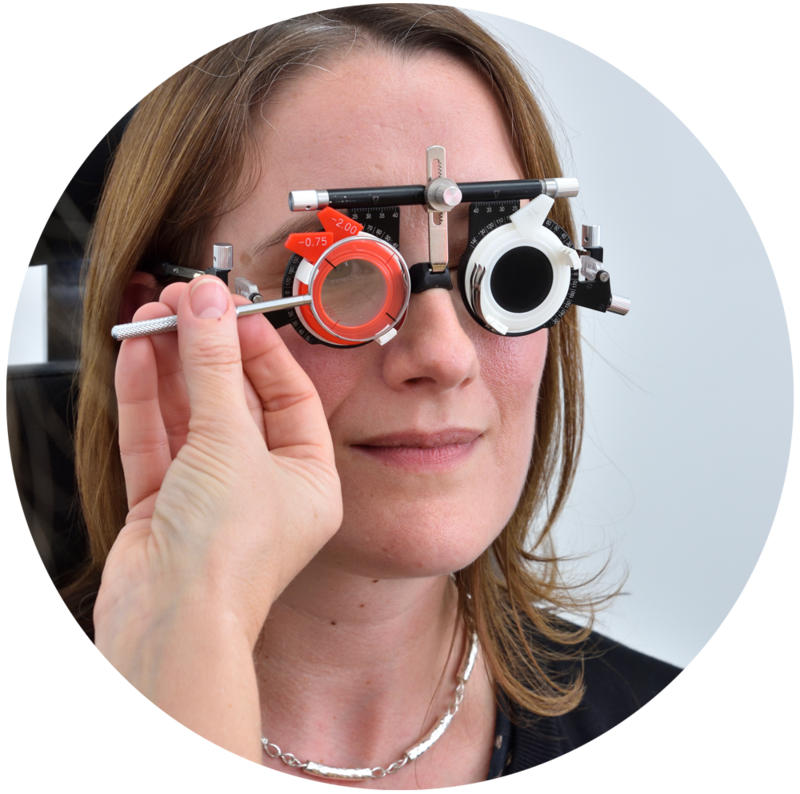 Laser Vision Scotland surgeons provide high-quality ophthalmic care that is safe and effective.They are experts in their field, offering diagnostic tools and treatments only available with us in Scotland. Leading specialist in laser eye surgery offering both LASIK and LASEK treatments in a safe hospital-based environment. Consultant Ophthalmologist Mr Sanjay Mantry has runs Scotland’s only rapid access keratoconus service. Find out more about what treatments we offer, or contact us to make an appointment. Alternatively, complete this form and we’ll call you back to discuss your options.